The Environmental Protection Agency indicates that polybrominated diphenyl ethers (PBDEs) have a negative impact on your health and environment. These chemicals in your home environment may be causing harm to your pet without your knowledge. In the body, PBDEs are found in breast milk, blood and the blood of umbilical cords. These chemical compounds persist in the environment and accumulate in wild animals. They are thought to cause brain damage, birth defects, and contribute to disease of the liver and thyroid. PBDE chemical compounds are used as flame retardants in industries that produce electronics, furniture and foam. 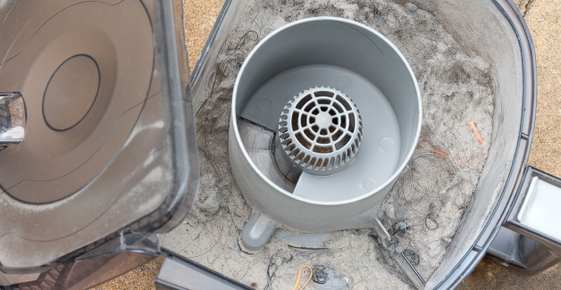 These products have a propensity of giving off airborne particles that build up in your home's dust. Seventeen pet dogs who live primarily indoors participated in an analysis at Indiana University. The analysis found their PBDE concentration levels to be five to 10 times higher than that of humans. "In the U.S., we the have highest levels of flame retardants in our dust and in our bodies," indicates Arelene Blum, Executive Director of the Green Science Policy Institute. Pollution in People asserts that these toxic PBDE industrial chemicals have been used for more than 30 years in the manufacturing of mattresses, furniture and consumer-used electronic plastics. Household furniture is frequently produced with flame retardant chemicals and materials before it is shipped to consumers. Furniture that is made with organic cotton stuffing or wool padding will be free of the hazards of PBDE. This means when shopping for sofas, loveseats, easy chairs, mattresses and other furniture with seat, arm or back padding, it will be important to ask the contents. Ask if flame retardants are used and if there are alternate choices. Request that organic cotton or wool padding be provided as a condition of your purchase. The use of flame retardant materials varies from state to state. Its use will depend on governmental laws and regulations that are in effect. It is estimated that approximately five percent of the weight of the petroleum-based fill known as polyurethane foam is flame retardant chemicals. Polyurethane foam is used in nearly all sofas, easy chairs, loveseats and mattresses manufactured. "PBDEs are an important, but generally unrecognized, persistent organic pollutant,'' advised Robert C. Hale in Nature. Hale is a professor at the Virginia Institute of Marine Sciences. Persistent organic pollutants can remain in our environment for many years without breaking down. Body fat in animals and humans become the storage zones for these pollutants. ''There is an enormous need to act quickly when there is a problem with a chemical that is not only toxic but is persistent and accumulates,'' says Gina Solomon, Natural Resources Defense Council senior scientist. Talk with your veterinarian about the impact of these industrial chemicals on your pet's health and wellness. Your veterinarian will guide you in reducing the negative impact on your pet's health. Main, Emily. Flame retardant furniture: Unhealthy, and doesn't stop fires.